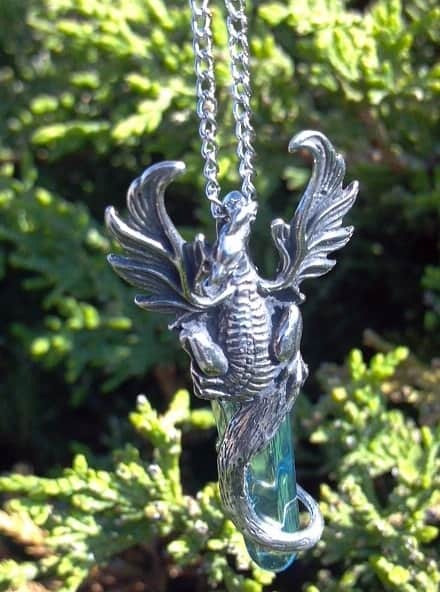 The Dragon is probably one of the most permeating and legendary creatures in history, typically with serpentine or reptilian traits, that is featured in the myths of many cultures. They are archetypes of power, sovereignty, strength, wisdom and nobility. This power symbol is accompanied by an aqua aura crystal. 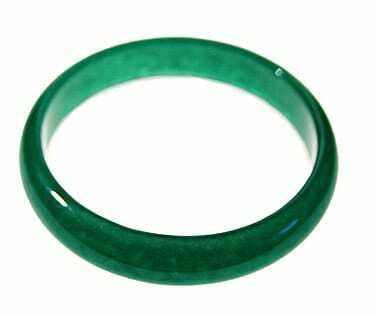 Aqua Aura: is a fantastical stone. It has an energy that can enhance one’s intuition and communication, calm one’s nerves, and energize one’s mental abilities. It is also said to help one’s inner beauty to shine, and to attract wealth, protection and success. 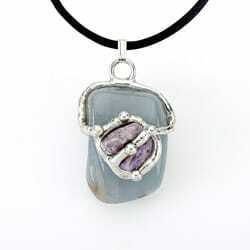 Aqua Aura: is a fantastical stone. It has an energy that can enhance one’s intuition and communication, calm one’s nerves, and energize one’s mental abilities. 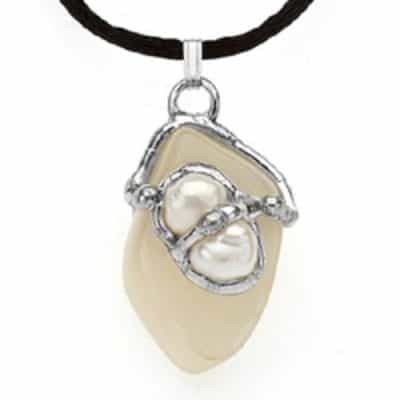 It is also said to help one’s inner beauty to shine, and to attract wealth, protection and success. 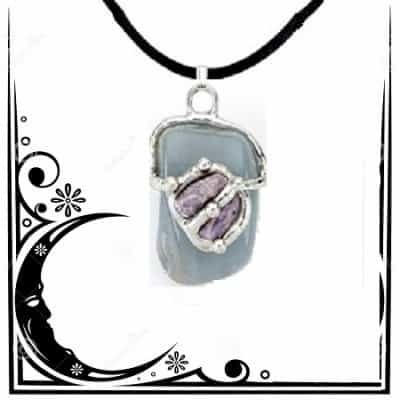 Aqua Aura can work as a shield from psychic or psychological attack. Intrusion from outside sources are quickly dissipated by transmutation into pure loving energy, which can work in a healing process.